Kedron Lions Netball Club is a proud participant of the Queensland Government’s new initiative to get kids out from in front of the TV and onto the netball court. It’s called the Get Started program. 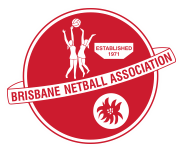 If you’re child is eligible, you may apply for a voucher for $150 which can be used to contribute to the playing fees for the 2013 Winter Netball competition with Kedron Lions. Get in early as the vouchers are limited. Applications open on 15 January 2013, and once exhausted will not be available until the second half of 2013. For more information please read through this fact sheet, and tell your extended family and friends.